SAVE 30% OFF WITH THIS BUNDLE!! NO PREP Print and Go ready for your busy caseload. You can use this activity to address articulation and language goals with your entire caseload. This resource can be played several ways to ensure students are engaged and stay interested. 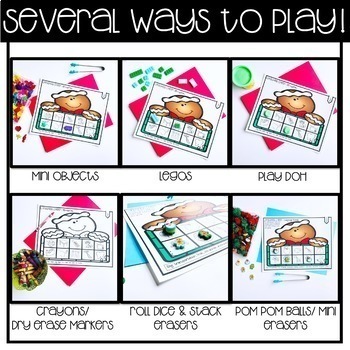 The mini erasers and pom poms can be found at Target Dollar Spot or on amazon. The mini objects can be purchased through Dinky Doodads or amazon. This is also a fantastic way to address fine motor skills while using the tweezers in the sensory bin or with pom pom balls, stacking mini erasers, smashing playdoh, etc. You have the option of "print and go" by putting the speech frames in sheet protectors and store in a binder... OR you can make a "talk box" for each storage! 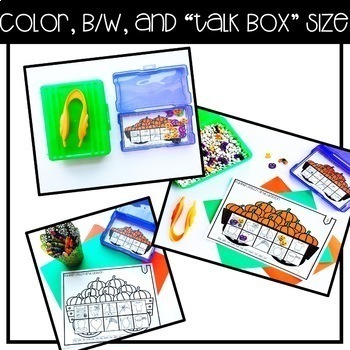 A "Talk Box" is a Texas Speech Mom activity that has been made to fit in a plastic storage box for easy storage and transport! **NOTE: there are some stimulus pictures that are the same between certain seasonal speech frames. This has been done on purpose to allow for a progress monitoring system. 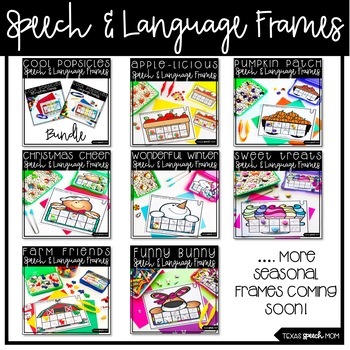 Since the speech frames are seasonal, it is a great way to monitor the progress every couple of months. Additionally, there is an editable page for you to type in your own words if you wish. 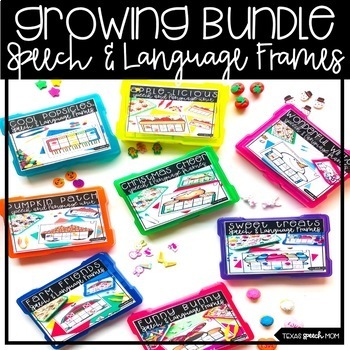 There will be more speech and language frames added to this bundle. If you have purchased the bundle, each new resource will be FREE! Please email me at texasspeechmom@gmail.com with any questions before purchasing! Click HERE to see more therapy companion hacks for target dollar spot items. Click HERE to see more NO PREP resources. Click HERE to see more resources for MIXED GROUPS.